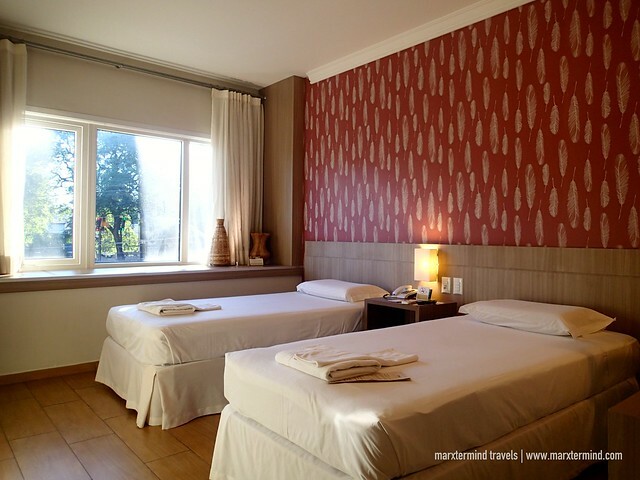 Our comfy and spacious room at Hotel Continental Inn Foz do Iguaçu was such a pleasant treat for us. My buddy and I got tired in our almost 20-hour bus trip from São Paulo. Arriving at Foz do Iguaçu, we felt like we needed a cozy room to stay and have a restful sleep before exploring around. We were just glad that we stayed at Hotel Continental Inn. The hotel provided us nothing but comfort and convenience. 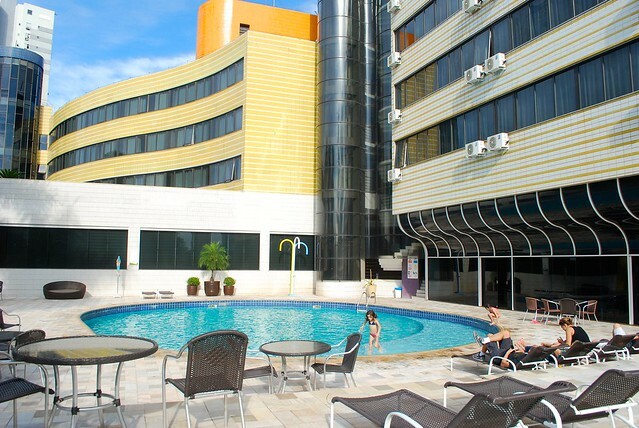 Hotel Continental Inn Foz do Iguaçu is a contemporary hotel conveniently located just minutes away from the city center. It is within a quiet neighborhood. It is also accessible to some shopping centers and tourist attractions. The hotel offers practical and stylish guest rooms provided with modern amenities. It also features pleasant facilities that give guests an unparalleled sense of comfort. It was around 8:00 AM when we arrived at the hotel. Still way too early for check-in time, I was hoping that we could perhaps stay at the lounge or lobby area first. But when I asked the front desk about our booking, I was surprised that our room was already available. Learning about it was such a relief. Finally, we can go to bed after our long bus ride. I was glad that the staff allowed us to check in early. 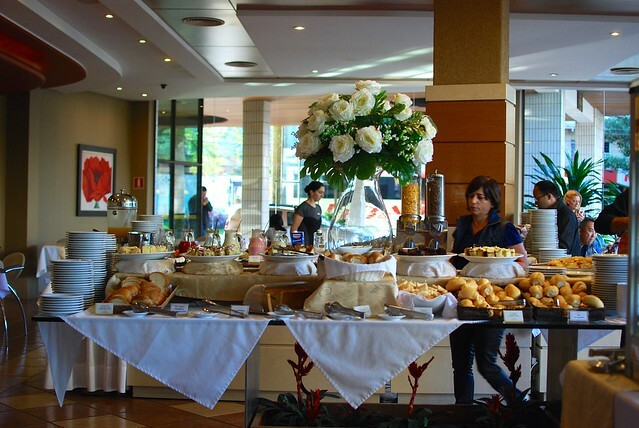 The Hotel Continental Inn Foz do Iguaçu has 124 comfortable and modern rooms divided into three categories. The room types are Standard, Master and Executive Suites and Master. Please refer to this link to check the room rate and availability. Our room was a Standard Twin Room. It has air-conditioning and comes with twin beds. It is also equipped with cable TV, mini fridge, and long work desk. The room also has a private toilet and bathroom. It was quite large and has hot and cold shower. Bath essentials are also provided such as towels and toiletries. The room amenities worked well for me. It has the essentials that made us enjoy our stay. The entire room was clean and tidy, as well. I love our huge room that gave us more comfort and space to relax while spending our time in Foz do Iguaçu. Hotel Continental Inn also has array of facilities to offer guests a more comfortable and satisfying experience. 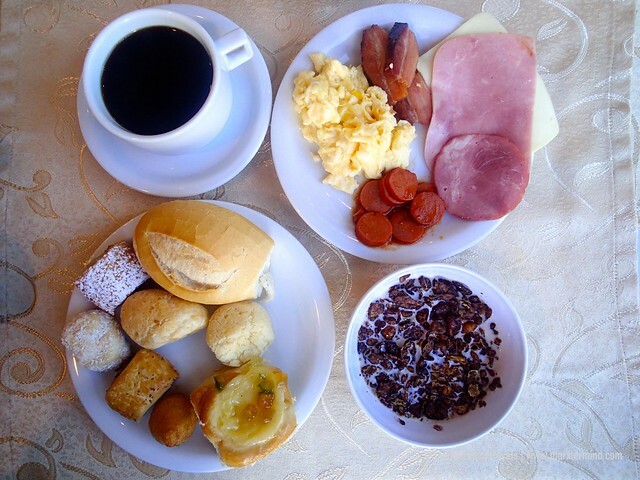 Guests can enjoy free breakfast buffet, which is available on its international restaurant. Breakfast was quite good with ample choices. 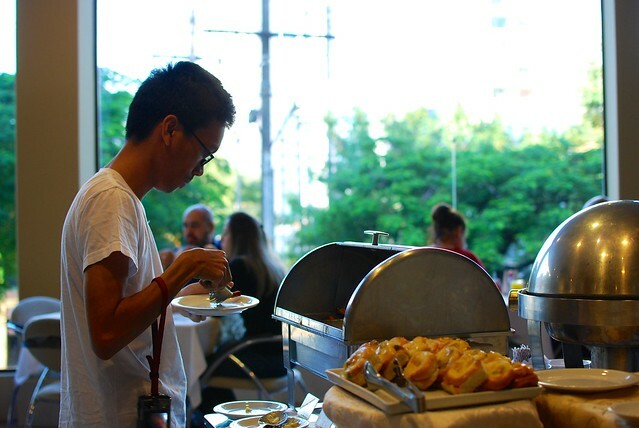 There were some bread, toast, French rolls, pastries, croissant, cakes, bacon, ham, egg, sausages, cheese, spreads, yogurt, milk, coffee and other beverages. The hotel also has two bars on site. Other amenities to enjoy at Hotel Continental Inn are Wi-Fi connection, sauna, gym, game room, playground and outdoor pool. Parking is also free for guests. Room service and 24-hour front desk are also available. 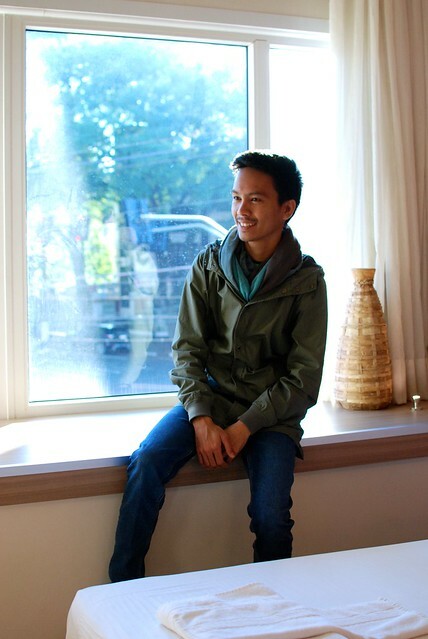 It was such a comfortable experience staying at Hotel Continental Inn. For three days, the hotel let us experienced the ease and relaxation that we needed. We enjoyed our cozy room. So if you’re visiting Foz do Iguaçu and looking for a comfortable and convenient place to stay, definitely book your accommodation at Hotel Continental Inn. With modern, refined and pleasant facilities, Hotel Continental Inn Foz do Iguaçu provides guests with good services and comfort through its spacious room, kind service and wonderful amenities. Each facility is carefully designed to offer a high standard accommodation in Foz do Iguaçu.